If something stopped working for you, please write to info@candescent.ch I'll try to fix it over the weekend. It's still not returning values < 800mm, but I've read that it's being prioritized for the next version. Can you send me a print screen of the exception to info@candescent.ch? I'm trying to use your framework. When I run the samples from the binaries everything seems to work fine, but when I try to use the source code and recompile it, I'm getting an exception. This happens either while running through visual studio or while running the compiled samples project outside VS. I'm using VS2010 express and OpenNI 1.3.3.6. I sent the full exception data to your mail. Can you compile and run the samples that come along with OpenNI? You should also check if the config.xml contains a depth node (it should if it wasn't changed). I sometimes get the same exception but only sometimes and usually for the image generator. But some problems confused me. Your use C# language to design your frameworks, but my development environment is Microsoft VC++ 2010. Can I use the dll files that I have download from this binary files version(10943) to integrate with C++? Is it possibile? Here's an article that discusses how to use c# dlls in c++. I haven't done that myself, so I can't be of much help. The dll is not prepared as it is described in the article (it has no strong name and it's not ComVisible). But you could change that yourself, the code can be downloaded. algorithm do you use? I want to study it. Thanks, I will study it. By the way, there is a problem confused me. But when I execute on Window 7, it is OK.
Can I ask you for the advice? 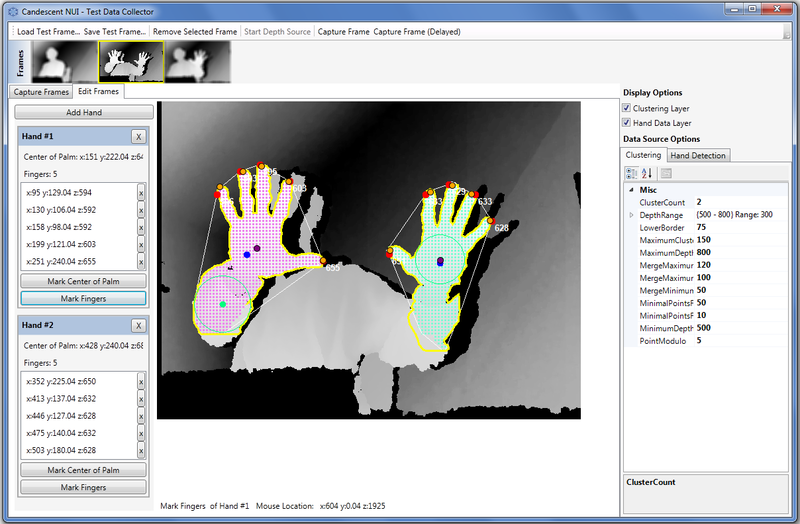 Are you using OpenNI oder KinectSDK? Can you try the samples that come along those to see if the problem is the same? I don't have XP running anywhere so I can't test. I see, I will try others program. finger detection and hand tracking. I've given up hand orientation detection. That was one experiment. I thought it would be useful to find finger points when I know in what direction(s) the fingers should see. It's not in Candescent NUI anymore.